The name Matt Roberts may not ring a bell for many of our readers immediately. 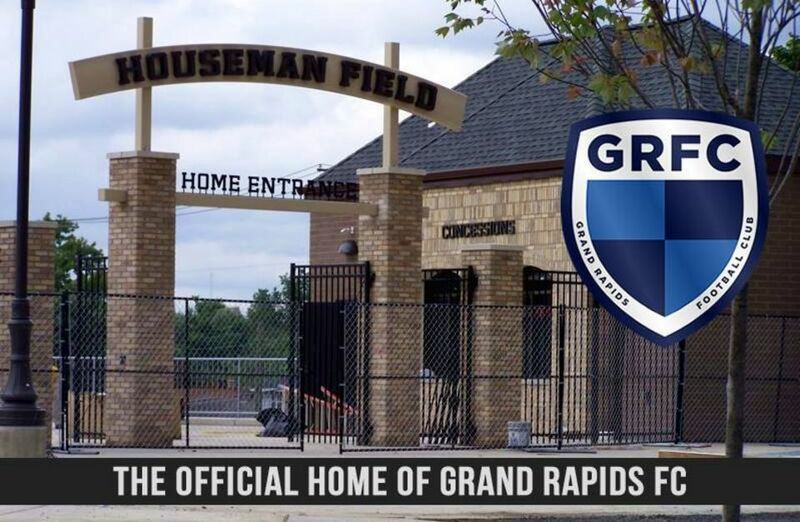 Those from the Grand Rapids area will likely know Roberts name from his contributions to the Grand Rapids Juniors Crew soccer program or as the driving force behind the founding of Grand Rapids FC. Roberts is the Youth Academy Coordinator for the newly formed Midwest United FC. The Midwest United FC is the combination of the GR Crew Juniors and TKO Premier Soccer (Kalamazoo). Roberts is also the head coach of the U8 Boys Royal, U8 Boys White, U9 Boys Royal, and U10 Boys Royal teams for Midwest. 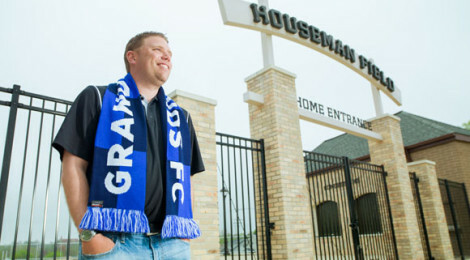 After being rejected by the NPSL for the 2015-2016 season, Roberts and others decided on creating the Great Lakes Premier League with other nearby teams in hopes to continue to expand the league out. The league now includes five clubs in three states that will make up the 2015-2016 season. The other teams are AFC Ann Arbor, Oakland United FC, RWB Adria (Chicago), and Croatian Eagles (Milwaukee). 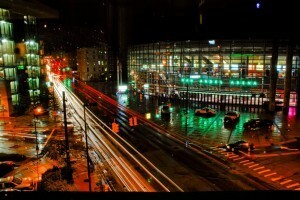 Grand Rapids FC has attracted a wide following of founders and fans and has gained media attention along the way. The team recently held their first competitive match with a scrimmage against Grand Valley State University, in which GRFC won 8-0 (in front of a crowd of 300+). The team holds another scrimmage this Friday May 1st against Aquinas University, to be held at MVP Fieldhouse. The team’s first match of the season will be May 9th vs. Lansing United at East Lansing Soccer Complex. 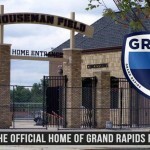 GRFC will play their first home match at Houseman Field on May 30th (7:30 pm) against league rival AFC Ann Arbor. See the entire schedule here. There’s still limited time through Friday to become a founding member of Grand Rapids FC for $100. This price includes a free ticket to each home game and a founding members scarf. The team has emphasized the “One City, One Club” mantra this year and also is using the #DefendtheHouse hashtag in support of its home games at Houseman Field. The team is approaching 4000 likes on Facebook and would love your support to help this inaugural season be a success. If you love Grand Rapids or the sport of soccer, please consider checking out one of the seven home matches this season at Houseman Field. Season tickets are available for $40 a person, which includes all 7 matches. Individual game tickets are $7 in advance or $10 at the gate. We look forward to the GRFC season starting. 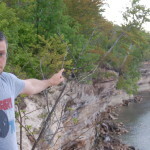 We recently had the chance to talk to Roberts about his five favorite places in Michigan. Come back soon and we should have an interview with Roberts more focused on the soccer side of things and what fans can expect in the first season. 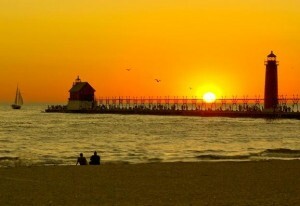 A homer pick for sure, but it is where I have chosen to live and truly enjoy what the city offers. 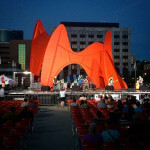 Whether you want to hit up one of several nationally known breweries, get together with some friends at a pub, or have a top notch meal, downtown Grand Rapids has it all. 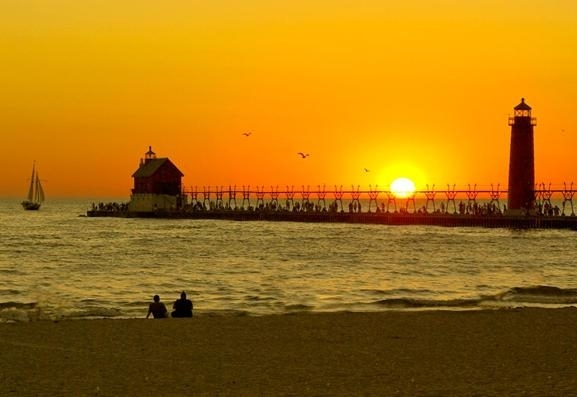 You can’t beat the picturesque beaches and spending time on a boat in Lake Michigan. Not a bad combination if you want to get away from home and just relax. The walk out to the lighthouse and pier are a must as well. The competitive side of me usually comes out at the beach so a game of volleyball or beach soccer is typically in the cards. 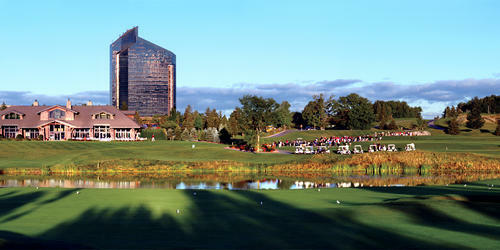 I love to play golf when we visit Traverse City and “The Bear” is as challenging a course to test your game. 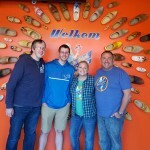 The accommodations are fantastic, and there is so much to do around Traverse City for families, couples, or singles alike when you are done with your round. 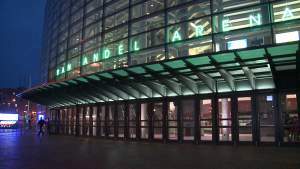 I love live events, and Van Andel Arena offers so many different entertainment options it had to be in my top 5. Grand Rapids Griffins games are always a great time, and I can’t count how many times I have been to the arena for events such as the Harlem Globetrotters, the circus, and concerts from every genre (Kid Rock was probably my highlight, or maybe Boyz II Men, or possibly Kenny Chesney). A not so well kept-secret about me is that I love chili cheese dogs. 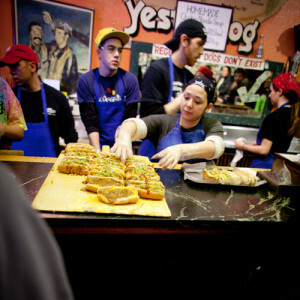 The low-key atmosphere at Yesterdog is the best, from the tip jar you have to throw your change in, to the amazing staff, to the unreal music; you can’t beat having a dog with whatever you want on it in one of the coolest parts of the city. For more entries in the My 5 Favorite Places in Michigan, check out the latest picks here.